« Cake International at Excel a feast for the eyes, if not for the tummy! 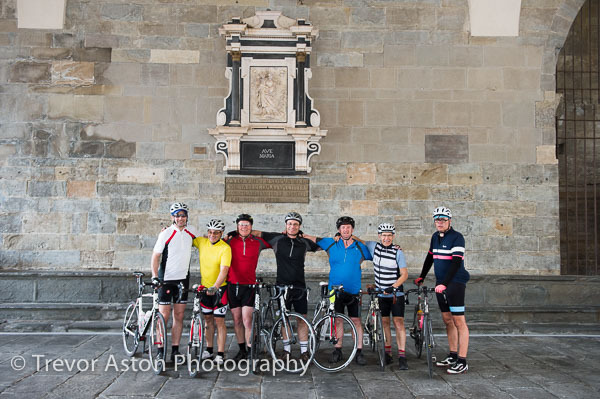 Cyclists tour Italy. Not a midlife crisis. Not like buying an open top sports car, or a powerful motorbike, having an affair with a younger person, invading an adjoining country if you’re president of Russia. 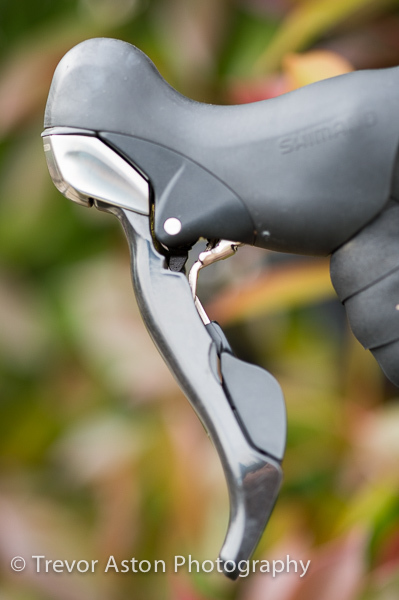 An expensive pedal bike is a more benign expression of age-related anxiety and the close resemblance of padded shorts to incontinence pants surely implies a degree of self-mockery? 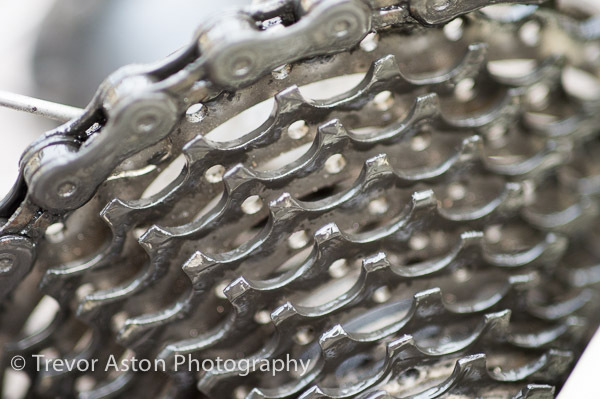 I am both middle-aged and a cyclist, but I’m not a Johnny-come-lately to two wheels, I’ve always cycled. Even through the 1980’s, a decade when not even Bradley Wiggins Dad had a bike I was a happy oddity. 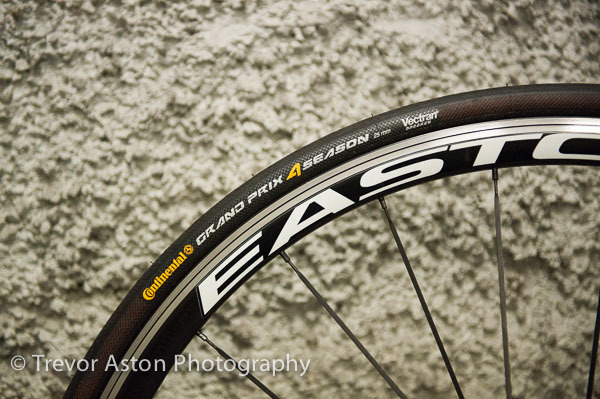 To be honest, I rather resent the way cycling’s become so fashionable. It’s lovely seeing families out together on bikes at the weekend, but I resent the whippet-like young men who flash past me up the hill in Richmond Park on cycles that weigh less than the air in the tyres, Lycra-clad unnecessarily close. The bike is my primary form of transport, but I don’t generally go much further than Kingston Market to buy sausages from Jim the butcher. 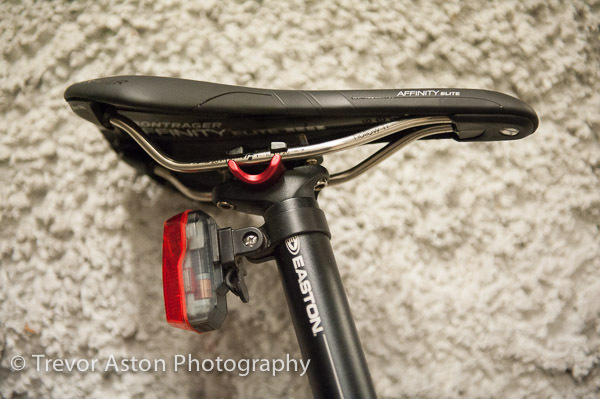 I’m going along on this inaugural tour of The MidLife Cyclist to video and photograph it, not to cycle. I’ll be following in the support van with Brighton Bike Monkey, Rob. The company’s founders, Bob and Greg are leading the tour from the saddle, Bob has promised me I’ll find Rob, or ‘Monkey’ as he calls him an interesting character. The 4 of us have flown out early to pick up the van and be there to provide a welcome. It’s a public holiday in Italy and none of the car hire companies could get a van to Malpensa so Gianluca has driven to the airport to collect Rob and me. It’s a 50 km drive up the autostrada to Gianluca’s van hire base in his Mini Cooper. A car built in Britain by a German company driven by an Italian. There something scary about that combination and it’s neither British or German. The free translation Ap I’ve downloaded onto my phone doesn’t offer ‘we’re not in a hurry’, ‘what a nice rear end’ or ‘eek’. 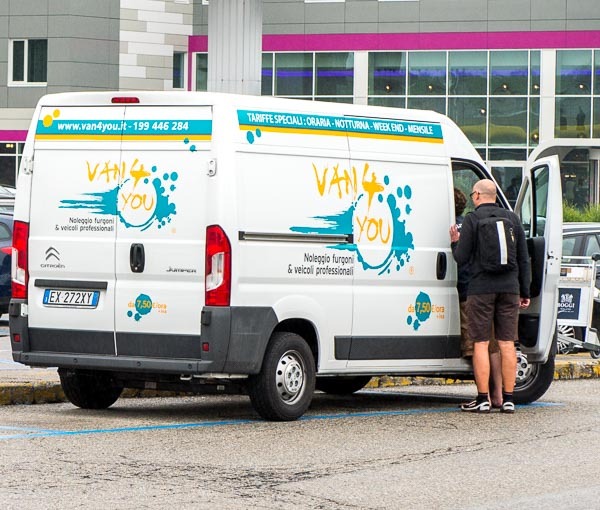 Gianluca’s business is named ‘Vans4You’. Two bad omens; it’s an English name and they’ve used a number where there ought to be a word. We drive off towards the Autostrada while I try to set the vans built-in satnav. Then Rob stops the van and he tries to set the satnav while I try to set the free map Ap on my phone. Rob then tries the map on his iPad while I try to set the TomTom we’ve brought from the UK. None of them will work. Are you wondering why we don’t use a map? We don’t have a map. We would buy a map but it’s a Public Holiday and everywhere is closed, there’s no one on the streets so we can’t even resort to the last option of the desperate man; asking directions. n Bob and Greg on the first morning Rob sets of in the general direction of Milan. We’re thinking we might spot a plane and we could follow it on the off chance it’s going to Malpensa. Then not one, not two but three stroke’s of luck; Malpensa has appeared on the road signs, the satnav has found it’s voice and there’s a drive through McDonald’s open. It’s hours since we’ve eaten and I’m not ashamed to say I enjoyed my McMenu. Actually I am ashamed that the first thing I ate in Italy, home of the worlds greatest cuisine was a burger and fries. But thank goodness American corporations are no respecters of family life, I was starving! 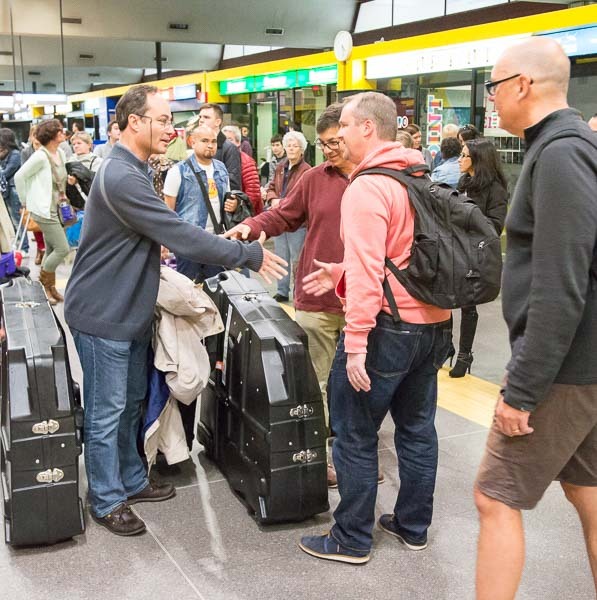 The cyclists emerge into the compact ‘Arrivals’ hall at Malpensa and gather together to be welcomed and introduced to each other. 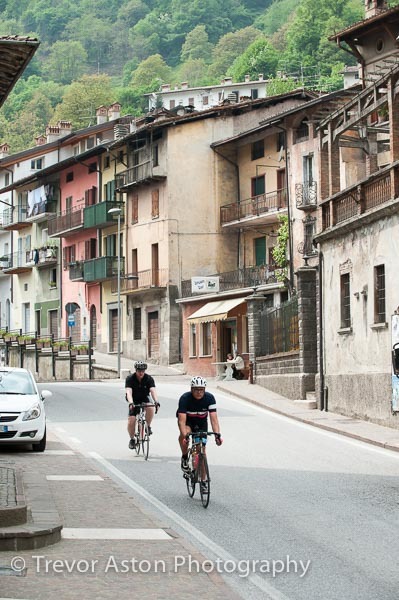 The huddle of large bike boxes form an obstruction that no one seems too concerned about – relax, this is Italy! 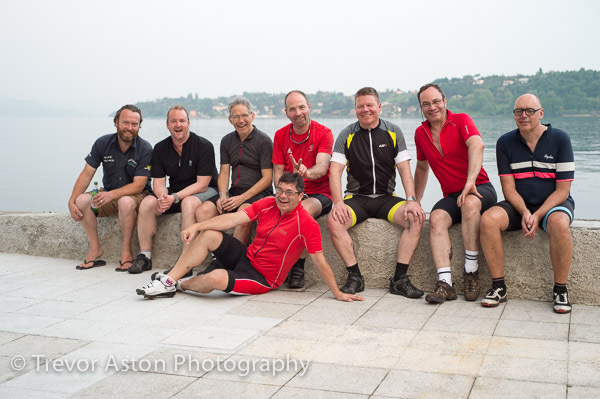 The first night is at a hotel in Como on the banks of lake, the Albergo Terminus. It’s a lovely place – once glorious and now a little faded but still a delightful place to stay, even sharing with Monkey. Yes, it’s not just the cab of the van we’re sharing. Luckily I liked him straight away, he smokes at every opportunity, looks a little like a red-haired Jesus and wears flip-flops. I’m not that keen on all male company, but this group is very easy to get on with. 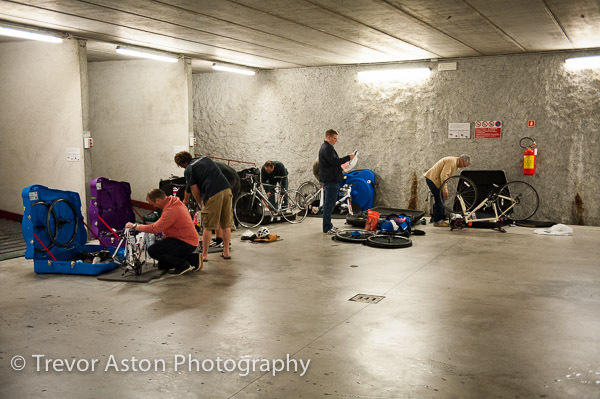 It’s my job to document the trip in pictures and on video so I’m fluttering around them in the hotel’s underground car park as they re-assemble their bikes. Through the viewfinder I can see there’s a degree of self-consciousness in being photographed and filmed, so I do it even more. Best to get them used to it now before we’re on the road! The evening sees us eating pizza, of course! But this is not just good pizza, I think it’s quite possibly the best pizza I’ve ever eaten; graphine-thin, Lineker-crisp and every bite a mouthful of flavour. It’s the morning, suitcases are stowed in the van and adjustments are made to bikes, water bottles and attire. Long sleeves? No short sleeves. Waterproof? No it won’t rain. 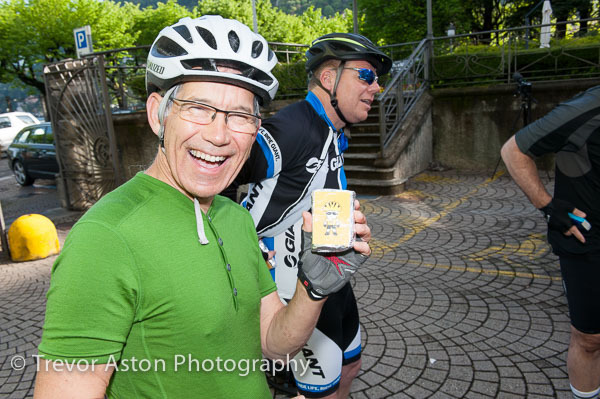 Bob distributes homemade Mid Life Cyclist flapjack. Time for the ‘grand depart’. I tell everyone to wait while I set-up across the road and that I’ll signal when I’m ready. 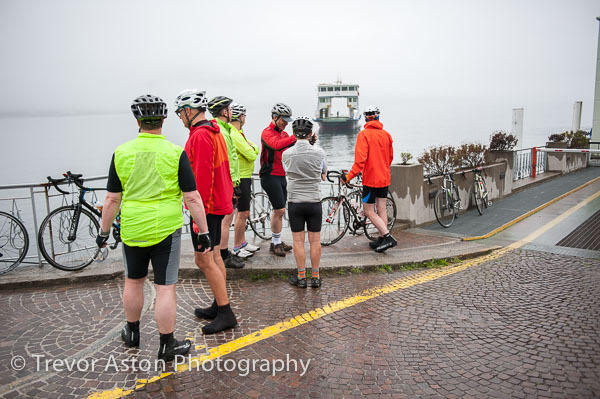 It’s a busy road, I pause to wait for a gap in the traffic then walk across admiring the lake that lies beyond the road, reach the pavement, then turn around to see the last of the group pedalling off up the road. Not for the last time on the trip my view of the Mid Life Cyclists is middle-agent behinds experiencing a crisis of their own balancing on narrow saddles. We’re taking the road around the lake heading for Bellagio. While it’s picturesque, the narrow, winding road offers few opportunities to pull in so I can video and photograph the MLC peloton as it flashes by. I want to be able to see the scenery behind them. After half an hour or so, we find a lay-by with a bit of a view. I jump out and set-up the video camera, I’m practicing sweeping pans of passing cars when suddenly they come in view. I hit the record video, I’m ready, but they see the van and promptly stop for drinks and snacks. It turns out that cycling along an often narrow and always winding road is quicker than travelling in an unwieldy van. Just as we catch up with the cyclist we have to stop for an equally unwieldy van coming the other way. 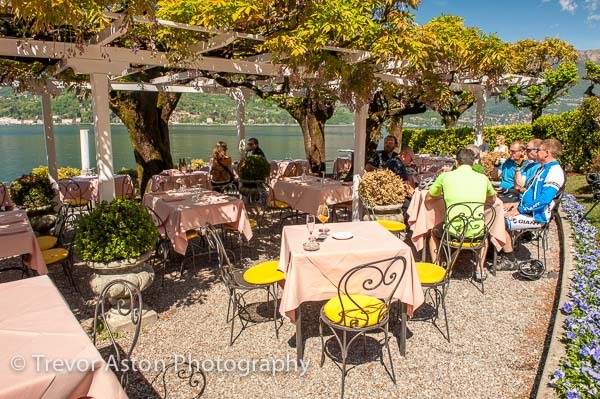 By the time we get to Bellagio the team is already sitting in a café shielded from the sun by beautiful wisteria. If you ever go to Bellagio don’t try to drive through the town. Never mind whether you’re in a big van, just don’t. We did, and with each turn the road got narrower. A more laid back travelling companion than monkey you could not hope to meet, but even he expressed some nervousness that we would get stuck. There was no turning, it was a street of shops with no pavement and pedestrians were having to step into doorways to allow us through. Monkey repeatedly uttered the word ‘Scusi’. I wound up the window and stared resolutely ahead. Our ultimate solution we agreed was to lock up the van and run away. Eventually, with the sun bursting through the cab window we escape the claustrophobic shopping alley, park the van on a yellow line with the hazard lights flashing and join the others to calm our nerves with strong coffee for me and a fag or two for Monkey. 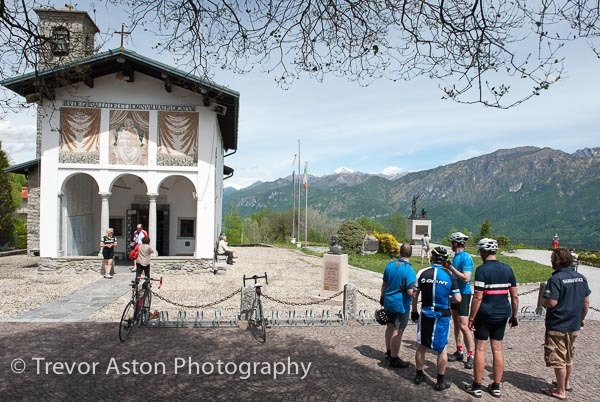 Chapel dedicated to Madonna del Ghisallo – patron saint of cycling. 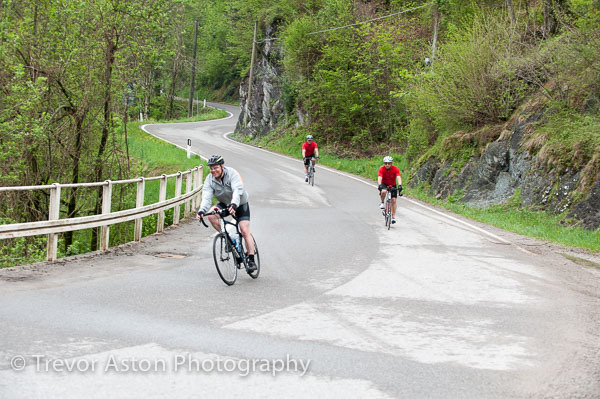 Now the cyclists have their first real challenge, a 500m climb in an 11km ride, an average gradient of 9 per cent. 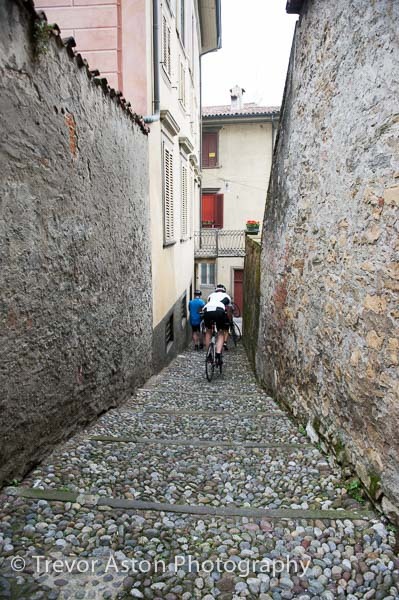 This is a famous climb with a chapel at the top and it forms part of the Giro di Lombardia. It was tough in the van too, Monkey said his clutch leg was really aching by the time we got to the top. The chapel is a place of pilgrimage for Italian cyclists, I’d never seen quite so much Lycra in one place. There’s a museum of cycles containing various machines ridden by famous Italian cyclist (I hadn’t heard of) such as Gino Bartali, Fausto Coppi and Eddie Merckx in their Tour de France victories and the walls are lined with multi coloured Jerseys. So far The Brighton Monkey has had little cycle maintenance to do other than tighten and adjust. The bikes, not the cyclists. One of the stronger pedallers, Tom has broken a spoke so we take off in the van to find a bike shop. We don’t know the Italian for ‘spoke’ so rely on the 2nd fallback position for Englishmen abroad of pointing. The first position being speaking loudly. They only charge 1€ each so no attempt to fleece desperate tourist. Italians rise even higher in my esteem. The Hotel Fioroni is back in Bellagio, the others have time to check in and shower by the time we arrive. I take some time to back up the days photos and video before joining the others. 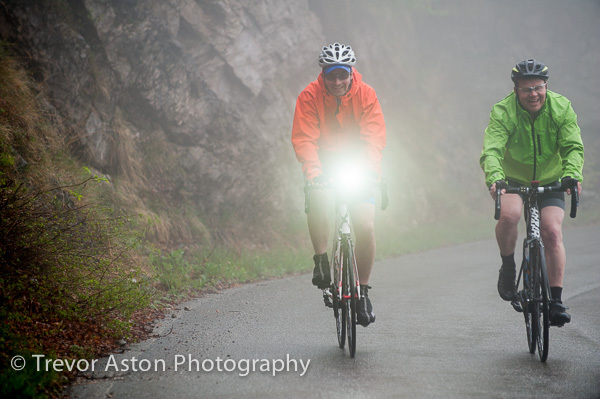 Bob and Greg have cycled much of the route on previous trips and driven it in order to make a thorough itinary. The hardest part can’t have been checking restaurants. This is another excellent choice, it’s a little way out of the town and seems to have more Italians than tourists dining. Surely a good sign? I’m having pike just to find out what it tastes like, it comes with a gorgeous salsa dressing. Late in the evening, the lights go down and the waiters appear singing ‘Happy Birthday’ and carrying an erupting volcano. It’s placed in front of a teenage boy in a family party. When the singing has died down Bob goes over to wish him a happy birthday and shake his hand. Bob’s one of the nicest people I know. There’s something a little strange about having men you hardly know sleeping on either side. The three beds are very narrow, close together and Eduardo and Patrick are both noisy breathers. Luckily the hotel has wifi so for most of the night I have BBC World Service burbling away in my ear. That small distraction from the more immediate noise helps me drift off to sleep – again and again. It’s the second day and the weather’s turned, the lovely warm sun of yesterday, that we took for granted because we’re in Italy has changed to low cloud and drizzle. Today’s journey begins by crossing Lake Como to Varenna, we have the ferry to ourselves and watch as Bellagio fades into a shroud of mist. The mountains are lost in cloud that seems to snag and tear like sheep’s wool on barbed wire. 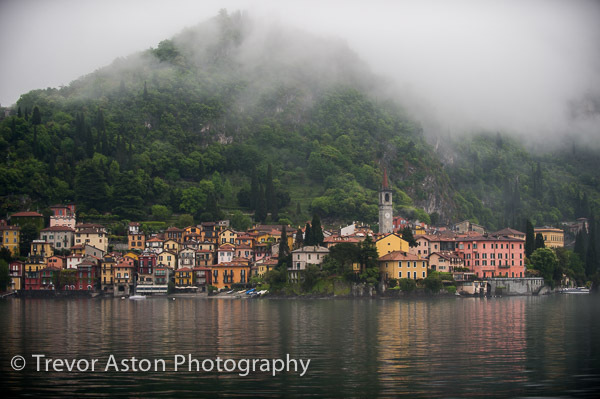 Verenna appears, growing out of Como’s waters, impossibly picturesque in the soft, mist-filtered light. While the cyclist leave the waterside to climb into the hills, we follow the satnav’s alternative route, a snaking, tree-lined, rock-strewn switchback. 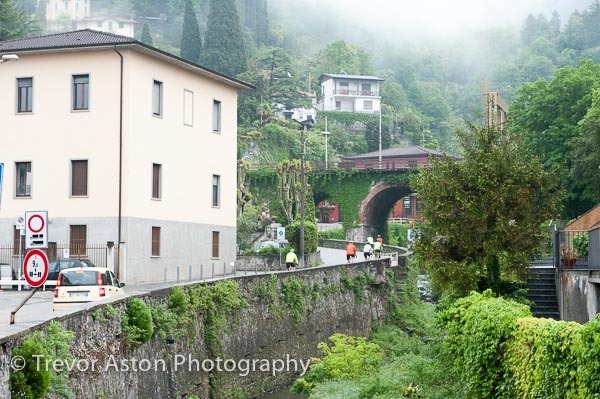 It’s the sort of road Italian cars are made for, or least that’s what people think. There’s a road-side memorial next to a gap in the fence, with a photograph of a man for whom, presumably the temptation to enjoy the road overcame caution. Luckily Monkey, with my life in his hands is driving the lumbering van with care. We’re starting to perfect our technique of dashing ahead, parking like the Italians and waiting for the MLC peloton to swoop past to be caught on my camera. Occasionally they stop to refill water bottles and snack pockets. Now we’ve gone ahead, gingerly driven down yet another winding, poorly maintained road. On-coming cars can just get past, but now here’s another van, I’m hanging out of the window judging how close we dare get to the crumbling edge of the road and the vertiginous drop. Only because we need diesel and are contemplating sneaking a coffee break. Mobile connectivity is sporadic, even for texts so my phone bleeping is a cause of some excitement; ‘We at Culmine san Pietro. We got no money no food no clothes. Waiting eagerly for Monkey mobile’. It’s a text from Eduardo who’s German and to the point. It’s taken ten minutes to get back up the hill, less frightening on the the side of the road away from the the drop. In this time the lovely café owner has invited the boys in for a cup of tea, even though she doesn’t believe there’s money on the way. I list the hazards of their impending descent – pot holes, gravel, narrow, tight bends, on-coming vans – their smiles just get wider. The origin of San Pelegrino water is a chemical plant and a brain storm. No? No, here we are entering San Pelegrino, where the naturally carbonated water as been produced for 600 years. Although for the last few years by Nestle, a fact that I find slightly disappointing. We don’t stop for long, we still haven’t had that cup of coffee and it’s not so far to the next hotel, well it’s not if you’re in the van. Earl Grey tea would be a more appropriate beverage tonight because we’re staying in Bergamo. Presumably because it’s a city, the satnav behaves perfectly and delivers us straight to the hotel. Monkey and I unload the cases from the van and check everyone in, the boys have had a long day in the saddle and will be tired. Actually I’m hungry and just want to hurry them up. The third day of the trip, Monkey and I are walking to the funicular railway to take us to the medieval Città alta, or upper town. We’ve stayed in the NU Hotel in the lower town. There’s a shorter cycle in prospect today so there’s time for sightseeing. We’ve joined a queue of families and school parties for the funicular. While we’re enjoying each others company we’ve both admitted we’d rather be enjoying this trip and these lovely places with our wives and families. 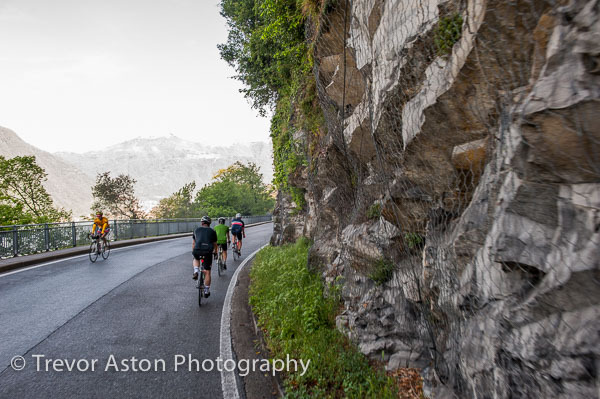 The others have cycled to the Città alta and by the time we reach them there’s only time for a group photo and they want to be off. 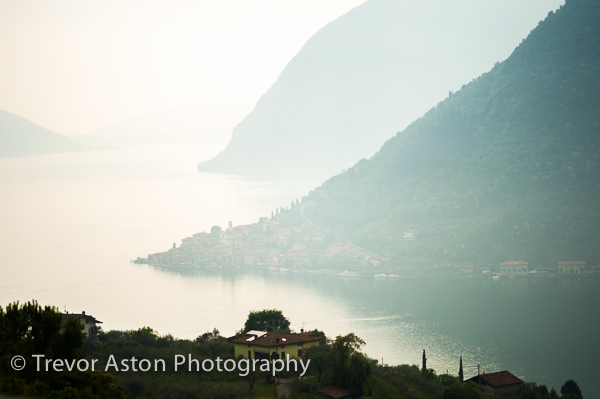 The cycling is less arduous, but promises to be no less pretty around Lake Iseo. We drive through attractive towns like Lovere and Pisogne then climb up above the lake on a modern road, in and out of tunnels cut into the mountainside, the lowering sun glinting off the water as we pass the island of Monte Isola. We’ve had to leave the cyclist on the old road so we get to the Hotel Araba Fenice well before they do. Wow! 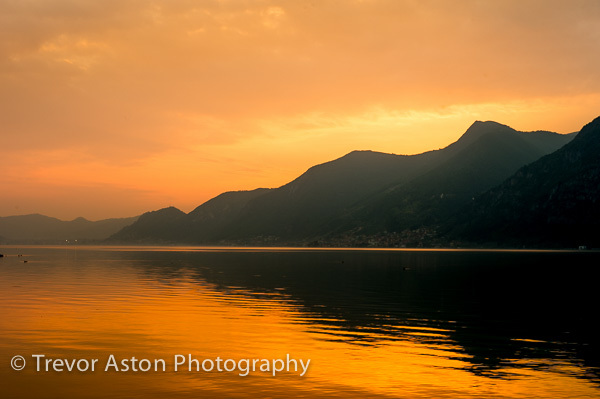 It’s on the shore of Lago d’Iseo looking across the water to the mountains that line the opposite bank. Bob and Greg have surpassed themselves, it’s really beautiful. We pile the bags into the foyer and check everyone in, it turns out there’s one room with a lake view. Monkey and I look at each other and agree that it should be ours. A decision that will later be changed. So we reach our last day of cycling, and it’s a big one. 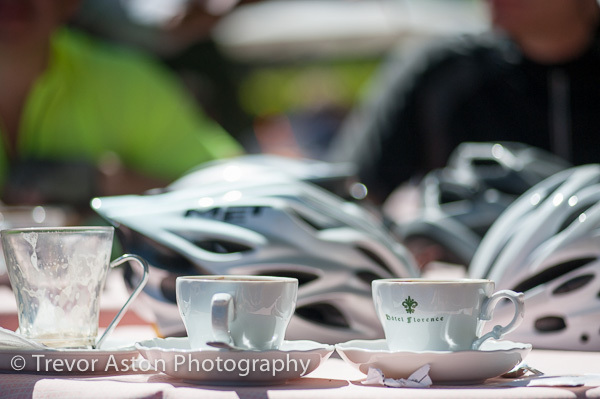 On the first day I’d have doubted that one or two of our riders could manage the distance and the climb they face today, but having seen their steady determination and snack-fed stamina I’ve no doubt they’ll make it. We begin the day by loosing them all. We’re stopped at a t-junction to restock the cyclist with munchies and water, and restock Monkey’s pocket with a packet of fags. I’m looking down at my camera doing a bit of editing when the door opens and Monkey gets back in “Which way did they go?” I haven’t even noticed they’ve saddled up, let alone whether they turned right or left. Although we know which town they’re heading for we don’t know the exact route that Bob and Greg have recce’d for cycling, so we set off following the satnav. It takes a very busy pot-holed road with a lot of heavy goods vehicles growling up switchbacks in clouds of particulates. I hope they’re not riding this way. After some driving we’re back in the beautiful Lombardy we’ve got used to and passing over hilltops and down into valleys, eventually getting to Casto. Surprisingly there hasn’t been a single puncture on this trip, but when the boys arrive they come with another broken spoke. Luckily Casto has a cycle shop, but it’s closed for lunch. 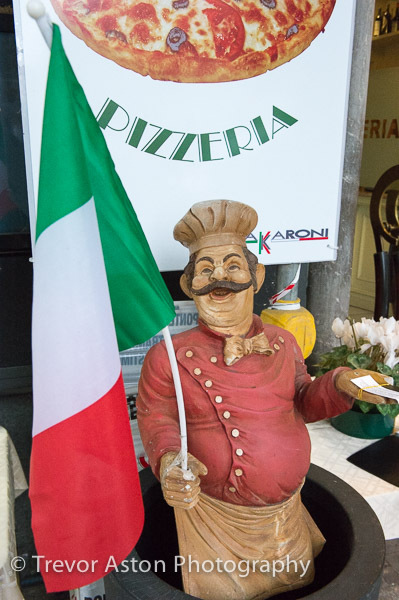 Perfect excuse for us to sit down at Casto’s one restaurant, The Albergo Pizzeria Restorante. They seem delighted to have us and produce some filled pasta which is every bit as good as we’re used too. I’m intending to record some testimonials about the trip and is a good time to do it. While I’m setting up three elderly men come and sit on the wall of the fountain in exactly the position I want to use. It’s tempting to just point the camera in their direction in the hope they’ll get the hint, but it seems a little rude. And what if they ask me a question? My Italian has now reached ‘ordering off a menu’ level, so good progress but not quite up to direct interrogation! After a while they wander off and I move in. Then the school bus arrives and needless to say we’re an irresistible curiosity, but Patrick get’s the better of them! The Brighton Bike Monkey looking forward to getting home, but also to coming back with Mrs Monkey to enjoy these lovely places in this beautiful country of so many kind and hospitable people. Now, we’ve driven into Salò on the banks of Lake Garda late in the afternoon, found the Hotel Salo Du Parc and checked in. As the sun begins to set we treat ourselves to a beer on the hotel’s waterside terrace while we wait for the others to complete a their long day in the saddle. When the boys arrive there’s a lot hand shaking and congratulations, it must feel fantastic to have set and met so many challenges and I feel quite envious. I’ve called them boys for the want of a better collective noun, but they’re not boys, they’re middle-aged men, no doubt carrying personal ‘baggage’ picked up in 40, 50 or 60 years. But they’ve reminded me that we don’t have to just accept what life throws at us, I’ll be flying home tomorrow with a determination to keep that in mind. And to get on my bike for more than just the sausage run! 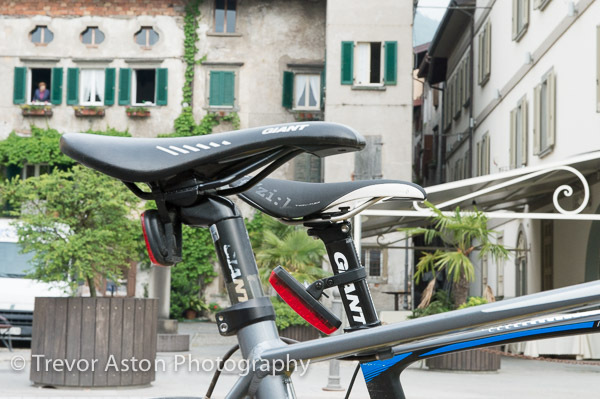 This entry was posted in Italy, travel and tagged bicycle, cycle, cycling, hills, Italian, Italy, lakes, middle-age, mountains, tour.